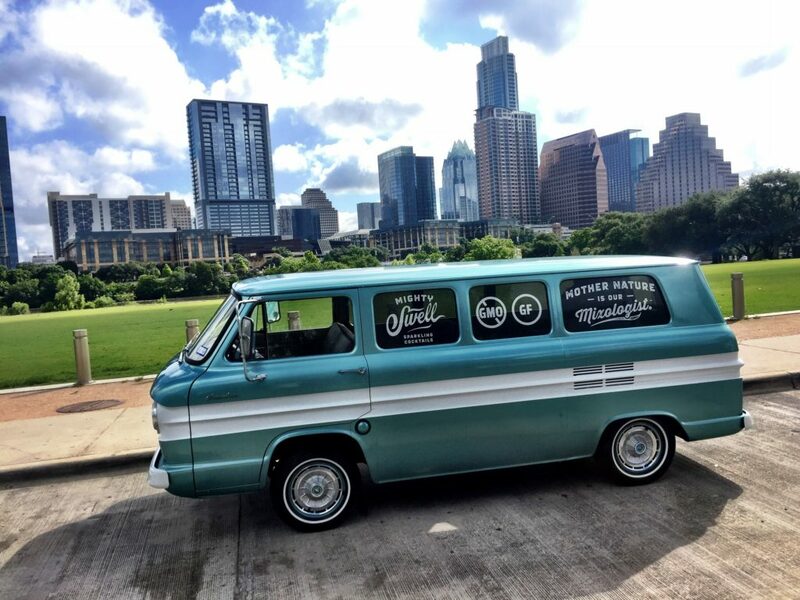 Austin City Limits Music Festival attendees will be among the first to taste Mighty Swell’s new low calorie, low sugar sparkling cocktails when they launch at the 2017 fest this weekend. Mighty Swell Sparkling Cocktails are now available with only 120 calories and 4 grams of sugar. What’s more, these are all-natural beverages with no sugar added. The new formula offers a lighter, more refreshing version of the previous in three flavors—Peach, Mango, and Grapefruit—conveniently packaged in aluminum cans, making these the perfect on-the-go cocktails. Mighty Swell Sparkling Cocktails will be the only non-beer, non-wine alcoholic options at the festival. They are made with premium ingredients including real fruit juice and carbonated to create a distinctive cocktail with 5% alcohol by volume. These cocktails do not contain high-fructose corn syrup, artificial flavors, sodium benzoate, or food dyes. For those not attending the festival, look for these effervescent beverages on store shelves. Mighty Swell Sparkling Cocktails will be available for purchase in six-packs at retailers throughout Texas for $8.99. Current Texas retailers include: Central Market, Albertsons, Target, Kroger, HEB, Whole Foods, Twin Liquors, Specs, Total Wine, Sprouts, independent liquor stores like Chris’ Liquor (on South Lamar in Austin), Thom’s Market and other food marts. They will also be available in 12 ounce cans in CO, OK, CA, NJ, MA, CT, RI, GA. The brand has plans to expand distribution to NY, WI and VA in 2018. Austin, Texas-based Mighty Swell is on a mission to rescue people from the average and the artificial with distinctive sparkling juice cocktails made with fruit-based wine. The company’s product line includes three refreshing flavors; Grapefruit, Peach and Mango. 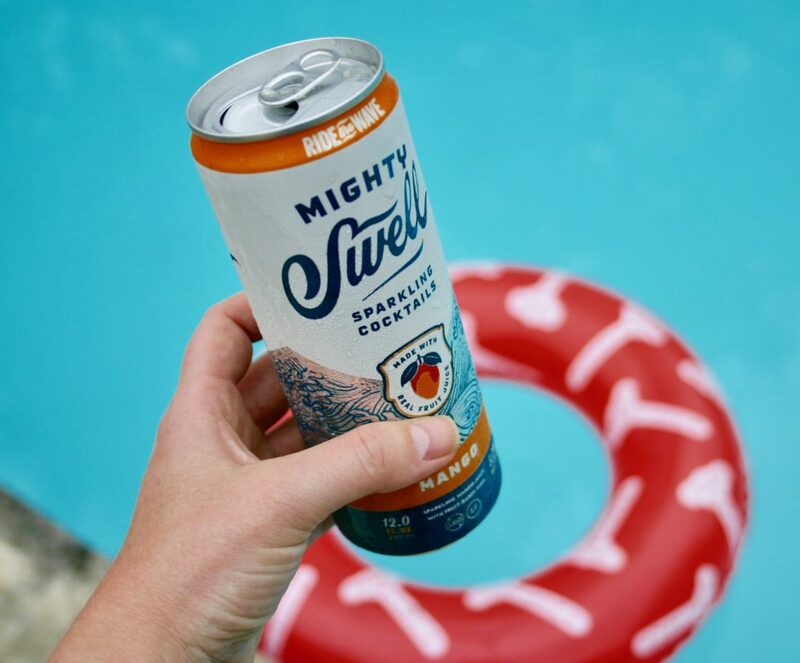 Mighty Swell Sparkling Cocktails are available in 12 ounce cans at finer retail shops. More information is available at:https://mightyswell.com/. Treaty Oak Distilling’s 2nd Anniversary Party!